The head of the UN refugee agency says drought-ridden Somalia is the "worst humanitarian disaster" in the world after meeting with refugees who endured unspeakable hardship to reach the world's largest refugee camp in Kenya. The head of the UN refugee agency said Sunday that drought-ridden Somalia is the "worst humanitarian disaster" in the world after meeting with refugees who endured unspeakable hardship to reach the world's largest refugee camp. The Kenyan camp, Dadaab, is overflowing with tens of thousands of newly arrived refugees forced into the camp by the parched landscape in the region where Somalia, Ethiopia and Kenya meet. The World Food Program estimates that 10 million people already need humanitarian aid. The UN Children's Fund estimates that more than 2 million children are malnourished and in need of lifesaving action. Antonio Guterra, the head of UNHCR who visited Dadaab on Sunday, appealed to the world to supply the "massive support" needed by thousands of refugees showing up at this camp every week. More than 380,000 refugees now live there. In Dadaab, Guterra spoke with a Somalia mother who lost three of her children during a 35-day walk to reach the camp. Guterra said Dadaab holds "the poorest of the poor and the most vulnerable of the vulnerable." "I became a bit insane after I lost them," said the mother, Muslima Aden. "I lost them in different times on my way." Guterra is on a tour of the region to highlight the dire need. On Thursday he was in the Ethiopian camp of Dollo Ado, a camp that is also overflowing. "The mortality rates we are witnessing are three times the level of emergency ceilings," he said. 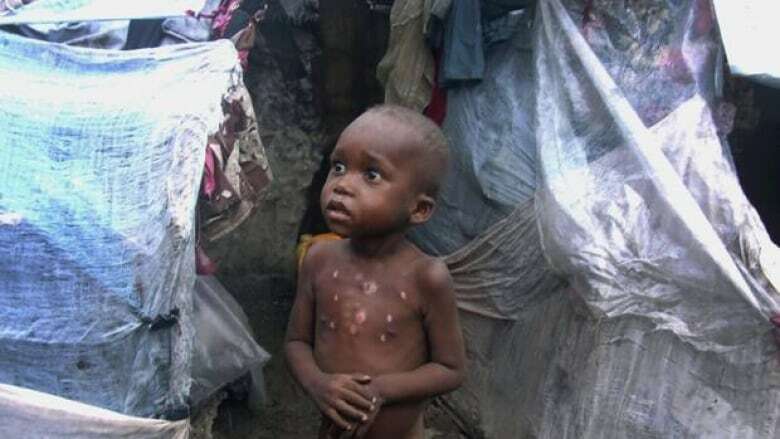 "The level of malnutrition of the children coming in is 50 per cent. That is enough to explain why a very high level of mortality is inevitable," he said. Dr. Dejene Kebede, a health officer for UNHCR, said there were 58 deaths in camps in one week alone in June. Most of the deaths take place at the registration office and transition facilities of the refugee camps in the southeastern Dollo region of Ethiopia, the health officer said. Up to 2,000 Somali refugees are crossing the border into Ethiopia every day, UNHCR said. Thousands of families arrive in poor conditions often after walking for days in search of food. Guterra said the influx is overwhelming for UNHCR and other international and local aid organizations: "Nothing can compare to what we have seen this month." "I believe Somalia represents the worst humanitarian disaster in the world," he said. The camps are full and lack capacity to provide the Somali people with food and shelter. This makes effective health treatment almost impossible, said Jerome Souquet, head of Doctors Without Borders at the Dollo Ado camps. "We can treat the severely malnourished children, but they will definitely come back to us underfed because there is not enough food and almost all of them suffer from diarrhea," he told The Associated Press. Habiba Osman Ibrahim, a 76-year old Somali refugee from the al-Shabab-controlled Luk region of Somalia, said she walked for three days with her two underfed grandchildren. Al-Shabab is Somalia's dangerous militant group. It had forced out all international aid groups, but earlier this month said they could return considering the desperate conditions. "We were dependent on food aid," she said. "But because al-Shabab forced out all relief operations and there was no food we had no choice but to flee." Aden Dayow, 32, said he was a sorghum-growing farmer in Ufurow in Somalia, but fled to Ethiopia because his harvest failed because of a lack of rains. The epicentre of the drought lies on the three-way border shared by Kenya, Ethiopia and Somalia, a nomadic region where families heavily depend on the health of their livestock. Uganda and Djibouti have also been hit. The World Food Program said it expects 10 million people in the Horn of Africa to require food assistance. WFP currently provides food aid to 6 million people in East Africa. The group said it is facing a shortfall of 40 per cent on the $477 million needed to address hunger needs in the region. Somalis desperate for food are also overrunning Dadaab, the world's largest refugee camp in neighbouring Kenya, which is seeing some 10,000 new arrivals each week, six times the average at this time last year. The UN's refugee agency says Dadaab's three camps now host more than 382,000 people, while thousands more are waiting at reception centres outside the camp.